New formula is 50% stronger AND exhibits a less pungent odor! Use this cleaner once and you'll wonder how you ever detailed without it! Answer: No. Iron removers only remove iron contamination. Iron removers will not remove non-iron contaminants like overspray paint, tree sap mist, industrial fallout, traffic pollution, airborne dirt and other airborne contaminants. It's still very important to use a clay bar when you detail your vehicle. Does a very nice job removing iron deposits, and smells about as good as one of these products can. ProsWorks great, doesn't smell like road kill rotting in the July heat. I couldn't believe my eyes how much stuff was actually on my nice car that I hadn't noticed until I used this product!! This stuff is amazing! I didn't like the fact that my car was sooo purple (embarrassing), but I was impressed with the results. Will definitely buy again to keep my cars clean of all the harsh stuff out there! 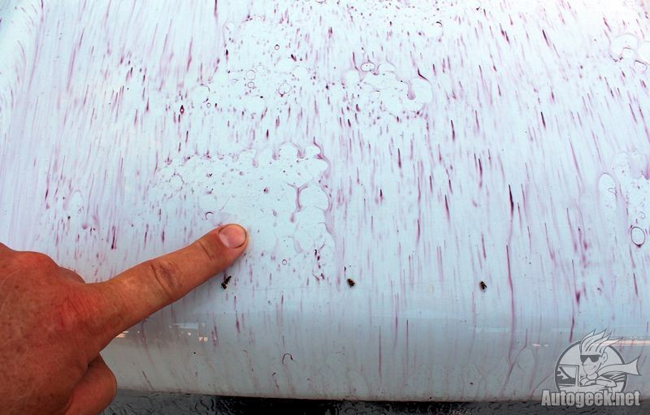 ProsCuts through all the harsh stuff that has been left on your car for probably longer than you care to know! ConsOne bottle will only last for two full uses of the car! Plan accordingly for how many bottles to purchase. Big fan of the products here, but have my doubts about this one. Instructions say to use before washing. My thinking about this is similar to clay - wash first, dry the car and treat with Xtreme Iron Remover. If it does anything that isn't done with a normal wash, it should still work. Tried it on a 14 year old BMW 3-series and a 3 month old Subaru BRZ. No color change, nothing visible happening. Looks like the car has to be dirty. First product I've bought here that appears to be snake oil. Washed white 2016 Nissan Maxima, dried and sprayed with McKee's 37. 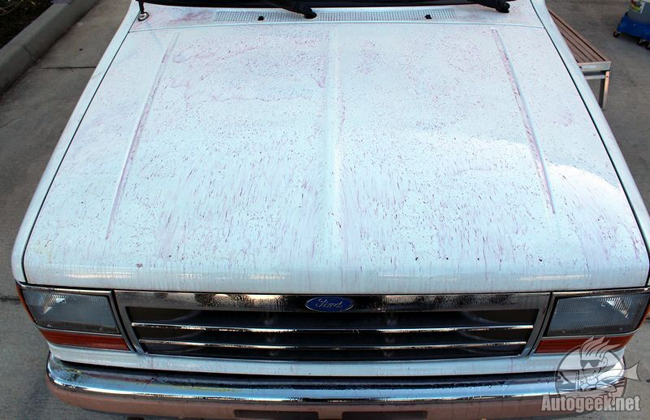 Three minutes later the car looks like it has purple measles. Washed off easily and left the paint ready for the clay bar. Good stuff. Prior to claying my car, I used the Xtreme Iron Remover. Upon applying the product there was no color change, which was reassuring. Knowing the damage that rail dust can cause, I will continue to use to be on the safe side. ProsEasy to apply. Minimal risk compared to some other iron remover products. Reasonable cost.